A passion for justice and truth motivates the bold challenge of Revisioning Gender in Philosophy of Religion. Unearthing the ways in which the myths of Christian patriarchy have historically inhibited and prohibited women from thinking and writing their own ideas, this book lays fresh ground for re-visioning the epistemic practices of philosophers. Pamela Sue Anderson seeks both to draw out the salient threads in the gendering of philosophy of religion as it has been practiced and to re-vision gender for philosophy today. The arguments put forth by contemporary philosophers of religion concerning human and divine attributes are epistemically located; yet the motivation to recognize this locatedness has to come from a concern for justice. 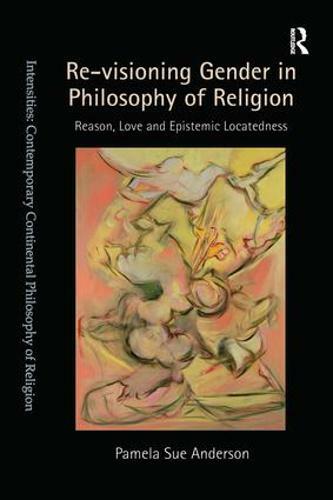 This book presents invaluable new perspectives on the philosopher's ever-increasing awareness of his or her own locatedness, on the gender (often unwittingly) given to God, the ineffability in both analytic and Continental philosophy, the still critical role of reason in the field, the aims of a feminist philosophy of religion, the roles of beauty and justice, the vision of love and reason, and a gendering which opens philosophy of religion up to diversity.